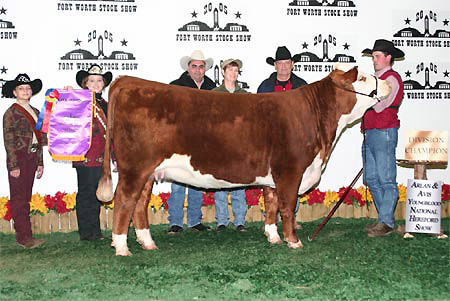 Pure Gold 98170 was the record setting bull in 2000 when he sold for $100,000 for 1/3 interest to Lone Star Herefords. The influence of PURE GOLD on our program and other programs nationwide has been phenomenal. He came along at a time when Hereford cattle needed more muscling to compete in the beef industry. 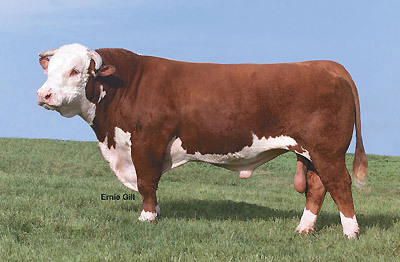 He consistently added muscle like no other bull has in the Hereford breed. 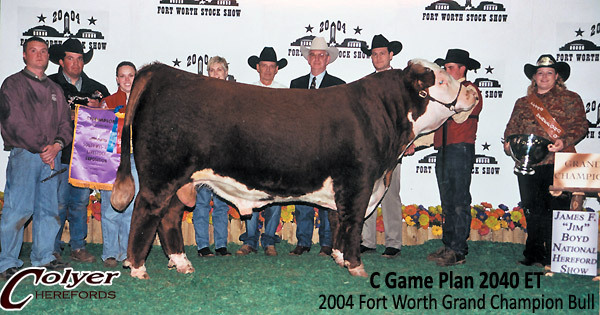 During his prime no other sire has dominated like PURE GOLD. 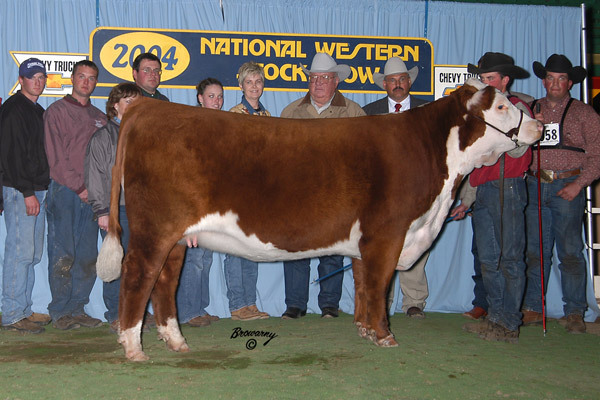 Sons and daughters have been sale toppers, performance leaders and show ring champions. 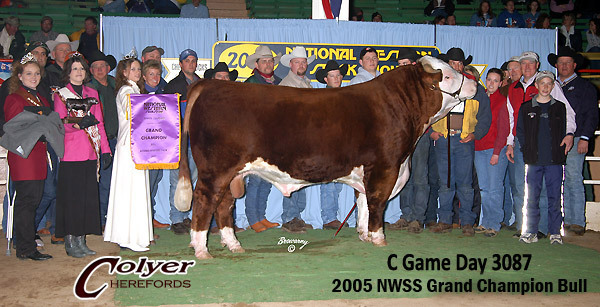 We lost PURE GOLD at 10 years of age. 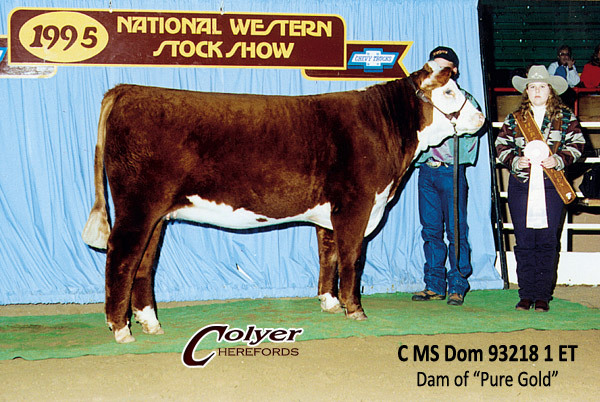 His genetics will be carried for generations to come in the Colyer Herefords breeding program.